While no list can hope to be comprehensive, the following are books that have proven to be of interest or use to the webmaster, or have been discussed on the site's forum or been recommended in other venues. These are books of general historical interest as they relate to the Canadian Army in the 20th Century. Battery Flashes is a book by D.W. Falconer that provides a comprehensive survey of the history of all Canadian artillery units in the Second World War. These are thumbnail histories only, but every battery and regiment is included, of all types including coastal, field, medium, anti-tank and anti-aircraft units. Also special purpose units like the Survey Regiments, rocket batteries, counter-mortar units etc. are included. However, the book also includes thumbnail sketches of Canadian formations, including all overseas divisions and corps as well as First Canadian Army, and in addition all domestic formations including both Atlantic and Pacific Command, the three home service divisions, and the various forces sent on garrison duty to locales such as Iceland, Jamaica, or Newfoundland. Primary research is evidence, with the provision of General Order references. All thumbnail histories include the serial number assigned to the unit on mobilization, place of mobilization, dates of overseas service, and date of disbandment. What isn't included is any info on personalities, commanders, statistics, types of equipment used. These are very bare bones histories. Other bonus material includes brief survey of formation patches used in Canada and overseas, with primary references, a nice addition. This does not however cover regimental insignia. The book is a rare volume, but one that is worth picking up for both general interest regarding dates and serial numbers, and for anyone interested in specific battery and regimental information, the book is a must. While the official histories of the Canadian Army in the Second World War are now available online for free, this book does a good job of condensing the three volumes comprising the official record of the Army's campaigns in Italy, North-west Europe, and the Pacific, into a single, easy-reading format. The drawbacks of the treatment are an account often interrupted by personal opinion (the author was a junior officer in the Canadian Army in the Second World War, who went on after the war to earn a Masters Degree in International Affairs). The maps, all taken from the official Canadian Army histories, are poorly reproduced to the point of being unreadable. However, the sketch descriptions of the individual battles and campaigns are well done, and the book provides perhaps the only single-volume account of the Canadian Army in the Second World War. McKay�s volume is unlikely to change many minds here or abroad...but it is worth reading for its refreshing willingness to call a spade a bloody shovel. Official Histories are listed on the Official Histories page. Brief illustrated overview of Canada's military operations from before Confederation to the Centennial. 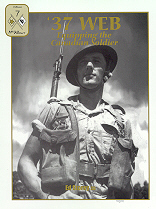 Brief softcover examination of Canadian soldiers in the 20th Century. Millar, Carman. Painting the Map Red: Canada and the South African War, 1899-1902 (Montreal and Kingston: McGill-Queen's University Press 1993.) pp. xvi, 544, illus. Collection of reminiscences of soldiers and civilians. Looks at some controversial issues such as racism in the Canadian military. Collection of reminiscences of soldiers and civilians. Lavishly illustrated social and military history of Alberta and Alberta units in the Second World War. Political, social and military overview of Canada's involvement in the Second World War. Political history of Canadian involvement in the Second World War, with some info on decisions involving the military. Collection of articles regarding Canadian involvement in the Second World War. Collection of short articles reprinted from LEGION Magazine, the official organ of Canada's premier servicemen's club, The Royal Canadian Legion. Commemorative album produced to mark the 50 anniversary of V-E Day, with many photos and articles on life for Canadians at home and serving abroad. Collection of articles and photos relating to Albertans and Alberta units in the Second World War. Two volume book of short articles on various military aspects of Canadian involvement in the Second World War, many illustrations. See also next entry below. Companion volume to the above Canadians at War, this book has sketches of major weapons, ships, aircraft and vehicles, notes on tactics and organization, etc. Detailed look at the two role Canadian soldiers played in the defence of Hong Kong in 1941, and the imprisonment of the survivors. Detailed accounting of all US Army Rangers who participated in the Dieppe Raid. Ford, Ken. Dieppe 1942, Prelude to D-Day Osprey Campaign Series #127, Osprey Publishing, 2003. First hand of account of radar expert who landed with the South Saskatchewan Regiment. Scholarly, well researched and footnoted book on the origins of the Dieppe Raid. Does not describe the Raid itself in detail but attempts to pinpoint with precision who was responsible for the launch. Updated version includes final chapter chilling in its implications, suggesting news of the raid may have been deliberately leaked. Controversial book that was the basis for the CBC miniseries "Dieppe". Decent, but not detailed, overview of the planning, mounting and execution of the Raid. Story of the Dieppe Raid by a journalist; obviously written under wartime constraints. Author admits it is not a "profound dissertation". Most detailed view yet presented of the actual Raid itself, with much biographical information on key players. Apologetic view of Dieppe tries to make the case that the Raid was a necessary precursor to D-Day. Written by veteran of the Raid and prolific historian. Readable account of Canadian forces in Italy in the Second World War; good general overview. Last of the Italian campaign pop-history trilogy by Zuehlke. Overview of the Liri Valley campaign with emphasis on Canadian operations. Popular history style overview of the Moro River campaign with emphasis on Canadian operations, including a description of the battle of Ortona. General overview of the campaign in NW Europe from September 1944 to VE Day. Good selection of personal accounts, including the true story of the famous cine-camera footage taken during the actual landings. General introduction to the subject of Canada's participation in Normandy. Based on the film "Liberation" this book provides then-and-now photos, biographies, and short histories, focussing on both the Dutch people and the Canadian soldiers that helped liberate them from the Germans. Excellent, in-depth and professionally research book on Operation TRACTABLE in August 1944, written by a retired Canadian staff officer with excellent knowledge of German military. Useful, detailed appendices on the death of Michael Wittman and the 1st Polish Armoured Division. Overview of Allied operations in Normandy from July to August 1944. Overview of Allied operations in Belgium and Holland in October 1944. Scholarly overview of Allied operations in the Rhineland from February to March 1945, including coverage from the British, American and German point of view. Overview of Canadian ground operations in the Korean War. Bilingual booklet produced by Veterans Affairs given very brief overview of operations in Korea. Personal account of Major General Lewis Mackenzie, with details of several Canadian peacekeeping missions. Sweeping account of the social history of the Canadian Army, explaining why and how the Army has evolved throughout the 20th Century, with a special focus on the incidents in Somalia. Large print; stories of Peacekeeping throughout the history of such, from Lester Pearson to Alan Short/Robbie Beerenfenger in 2003. Politicized account of Canadian peacekeeping activities in the 1990s. Collector's References are a category of book more in-depth than primers and study individual subjects in great detail. The books on this page are recommended reading for understanding the personal equipment used by Canadian soldiers in the 20th Century. An excellent full-colour photographic guide to British 1908 and 1937 Pattern Webbing, with a good look also at 1944 Pattern and some of the interwar sets. Good extras, like list of British manufacturers and their abbreviated names as found on actual webbing items. 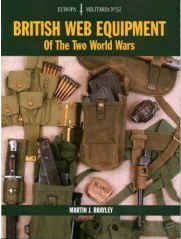 '37 Web: Equipping the Canadian Soldier is the first book devoted solely to Canadian produced 1937 Pattern field equipment. The book was written by lifelong collector WE "Ed" Storey, and covers in detail all major components of infantry and officers field equipment, larger items of field equipment, orders of dress, and even reprints the wartime manual regarding this equipment. Service Publications, Ottawa, ON, 2003. The Tangled Web: Infantry Accoutrements 1855-1985 was the first major attempt to catalogue all major types of infantry equipment used by the Canadian Army in a single volume. The book was written by retired Brigadier General Jack L. Summers. A good introduction to Canadian infantry equipments, though rather pricy and not comprehensive. Certain types of infantry equipment are covered much more comprehensively in other sources, but for many less common types, this is the only Canadian reference in print. The Osprey "Men at Arms" titles are well known to many interested parties; plastic modellers, wargamers, uniform collectors, and those with a general interest in history. The titles are relatively inexpensive and follow a common format - 32 to 40 pages of text with 8 pages of colour plates. All colour plates have extensive captions at the back of the text, and main text is punctuated with sidebar articles. Authors and artists are different with each volume, as each is written by a leading researcher of the particular area being discussed. 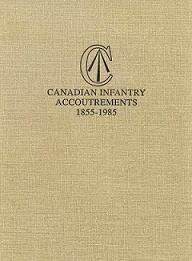 The following titles are most applicable to those with an interest in the Canadian Army in the 20th Century. As with most of the Men At Arms titles, the titles are generally so broad that it is hard to grasp what the book is about without purchasing it first. A brief description here will hopefully better guide potential purchasers; some titles in the MAA line specialize in uniforms, others in general history, some have details of weapons while others do not, etc. Deals with British leather equipment, much of which was also used, in limited numbers by Canadians from 1880-1914. Good thumbnail reference for early pre-Great War equipment. Deals with British web equipment, much of which was also used in modified form by Canadians from 1914-1953. Good thumbnail reference, unfortunately, Canadian variants are not discussed. Photos are poorly thought out and order of dress illustrations not always correct - Ed Storey's book on '37 Web is much better for those interested in Canadian WW II Equipment. A Revised Edition of MAA 108 was released in 2000, updating the book and causing a slight adjustment to the name to bring it into line with other titles, now being known as 'British Infantry Equipments (2) 1908-2000'. Deals with British Cavalry equipment, some of which was used in limited numbers by Canadians. Good thumbnail reference for pre-Second World War cavalry equipment. A revised edition of the book released in 2002 claims to represent 20 years' of new research. According to amazon.com: "It covers the saddlery, horse furniture, and personal equipment of the British horsed cavalryman from the early stages of the Napoleonic Wars until the final disappearance of the mounted arm during World War II. Such details are essential for an understanding of how cavalry fought in the 19th and early 20th centuries, since the design of equipment was intimately connected with cavalry tactics in any particular period. Students of campaign history, and particularly modellers, will find here a mass of specific information, illustrated with photographs, diagrams, drawings and full colour plates." An overview of the Canadian Army from 1900 to 1985; very little information about post-Korean War Army, but useful thumbnail sketches of Canadian involvement in the Boer War, World War One, World War Two and Korea. Very, very brief historical text, with well done colour plates and captions serving as an introduction to uniforms, weapons and equipment. No sidebar articles to speak of, closest this comes are listings of the main combat unit composition of the Canadian Corps in World War One, First Canadian Army in Europe in World War Two, and the 25th Canadian Brigade in Korea. The emphasis on Canadian Forces in World War Two is very much on the general history and organization of the three services - Canadian Army, Royal Canadian Navy and Royal Canadian Air Force, with a look at other auxiliary organizations as well such as the Veteran's Guard, Pacific Coast Militia Rangers, and the women's services. The text is well written and solidly researched and includes a lengthy introduction to the Canadian military in general, and how the government guided the raising and deployment of Canadian military power in WW II. A brief chronology of WW II is presented, and then text outlining the Army, Navy and Air Force. The meat of the Army text concerns organizational and training issues, and is divided into three separate parts of equal size; the Army in general, the Veteran's Guard, and the PCMR. A lengthy section on Army uniforms and accoutrements (equipment) follows, supported by photos (some current photos of poor quality). Finally, a page long bibliography is presented followed by captions to the exceptional colour plates by Ron Volstad. Five of the eight colour plates are devoted to Army subjects. Contemporary photos are mostly of uniform details, with well written and descriptive captions. Sidebars seem to be a bit of a waste - almost three pages of text devoted to naming the infantry and armoured regiments. Conspicuous by its absence are any charts of the rank structure or rank insignia of the three forces - a standard in other MAA titles. Artist Ronald Volstad, well known in the military and hobby world, has come into his own as well. The colour plates in this volume are spectacular in their detail, the varied character of the faces, and the subtleties of light and shadow. 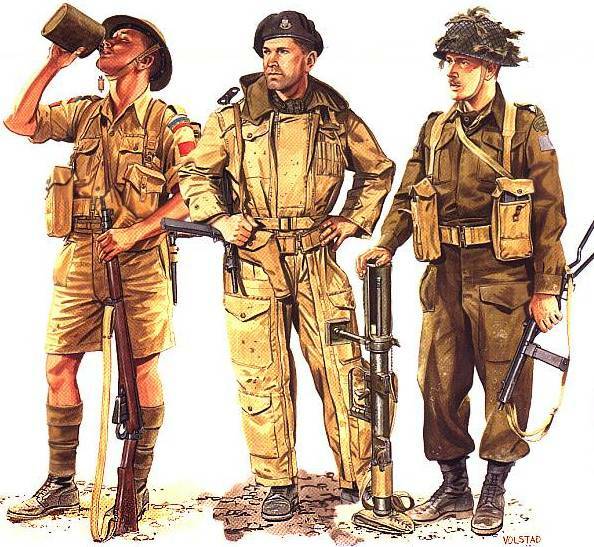 The colour plate above depicts an infantryman in Sicily (Royal 22e Regiment), a tank crew officer of the South Alberta Regiment in North-West Europe, and a PIAT man from the Highland Light Infantry of Canada in Normandy shortly after the Normandy Invasion. The colour plates are especially well researched; the pouches on the H.L.I. PIAT man, for example are undone because in actuality, the pouches of the 1937 Web Equipment were too short to carry Sten gun magazines with a closed flap. First Field Dressings are obviously carried in the pockets of the battle dress trousers and Khaki Drill shorts. All in all, one of Volstad's best sets of artwork, in a career that has spanned from his days in the early 1970s illustrating the Squadron-Signal books, to his recent work on countless Dragon model box tops and 12" action figures. The text of the book is well written and for such a short text (48 pages including Index) amazingly comprehensive. The book is an excellent introduction to the subject of Canadian military participation and uniforms, and provides a bibliography of suggested further reading. Unfortunately, there are some inaccuracies in the text, as is the norm for any book attempting to give blanket coverage to such a large and diverse topic, such as the misinformation regarding rank insignia for the Queen's Own Rifles (the photo caption on page 12 lists this as black on green when in reality the QOR has always worn black on red insignia), or the misidentification of British Khaki Drill clothing as Canadian. In all, however, this is a very useful volume and an excellent starting point for further research. Lieutenant Colonel Bernd Horn, PhD is the former commanding officer of 3 Commando, The Canadian Airborne Regiment and of 1st Battalion, The Royal Canadian Regiment, as well as Adjunct Professor of History at the Royal Military College of Canada. He has published several books. Michel Wyczynski is an archivist with the National Archives of Canada, the Canadian Airborne Forces Museum and the Airborne Regiment Association. Keeping with the ongoing trend of Osprey to provide first rate colour plates combined with information by knowledgeable authors, this book is an excellent pr�cis of Canadian airborne soldiers. The authors have produced other works on the subject which are well known. The colour plates are of a higher standard than many recent Osprey titles, and the subject matter is fairly completely covered. The book seems to lack the interesting sidebars found in other recent Osprey titles, and little attention is actually paid to parachute equipment, as the focus of the text is on history. Still, an invaluable aid to those interested in this subject matter. Some bias also slips into the text, such as a statement to the effect that all staff officers without exception must dream of commanding an airborne battalion - an unfair assumption on the part of the author, a former airborne officer! However, good detail in the coverage, including the Militia jump companies. Then and now photos in Northwest Europe, where the author served as a Canadian war photographer. Text by C.P. Stacey, the official Canadian Army WW II historian. Then and now photos in Italy and Northwest Europe, including Dieppe, featuring the work of many different Canadian war photographers, including the author. Softcover volume, number 25 of the TANKS ILLUSTRATED series. Mostly British photos, with a small sampling of photos of the Churchill in Canadian service before and during the Dieppe Raid. Detailed overview of Calgary Tank Regiment vehicles and landing craft used during the main landings at Dieppe. Wealth of data on tank crews, vehicle movements, markings with very informative captions. Based on the doctoral dissertation of the author. Softcover volume, number 20 of the TANKS ILLUSTRATED series. Photos and captions regarding American, British, South African, New Zealand, and Canadian armoured units in Italy in WW II. Softcover volume, number 1 of the UNIFORMS ILLUSTRATED series. Contains photos of the US-Canadian First Special Service Force. Brief study of Canadian generalship in the Second World War, focusing on select senior officers with detailed biographies. Graphic novel of the service of the author's grandfather, who had served with the Highland Light Infantry of Canada in the U.K. and Normandy in the Second World War. Coughlin, William Garnet and "JDM" Herbie! Di Tullion, Saverio 1943: The Road To Ortona (Legas, Ottawa, ON 1998) 109pp ISBN 0921252781 **Comic book history of the battle of Ortona, well researched and written, though art is not entirely accurate with regards to uniforms, etc. Very dramatic portrayal of events, and much good information of the Italian civilians' perspective on the battle which is overlooked in many histories. Sheet music and lyrics for popular WW II songs. Novelization of a Canadian infantry unit in Sicily and Italy, later formed the basis of a TV movie of the same name (set in France). McDougall was an officer with the PPCLI in the Mediterranean during the Second World War. Guide to battlefields in Normandy with relevance to Canadians. Historically detailed guide, with good period photos, of the battlefields in Northwest Europe from both World Wars and how to visit them.